You’re searching for a bankruptcy attorney because you need to eliminate debt. 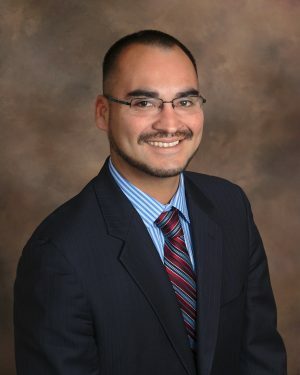 My name is Michael Benavides and I’m a Northern California bankruptcy attorney. I help residents of Ukiah and Mendocino County eliminate debt in chapter 7 bankruptcy or repay debt in chapter 13 bankruptcy. If you are considering bankruptcy and would like to receive a free phone consultation call our Santa Rosa office at (707) 200-6688. We have a unique approach to representing clients in consumer bankruptcy. Like many offices we maintain high professional standards including physical representation at the meeting of creditors. However, unlike most law firms we use technology to reduce overhead and pass the savings onto our clients. When you hire our Ukiah bankruptcy lawyer you will have the opportunity to avoid office visits by signing electronic contracts, uploading documents through our website, and participating in phone consultations. Our modern approach to bankruptcy representation allows us to represent our clients in a professional manner without charging a premium. One of the primary benefits of bankruptcy is immediately stopping collection calls, but bankruptcy stops far more than just calls. When we file a bankruptcy petition with the United States Bankruptcy Court for the Northern District of California the automatic stay arises by operation of Title 11 USC Section 362(a). The automatic stay prohibits creditors from continuing collection actions including collection calls, collection lawsuits, wage garnishment, and foreclosure. Creditors with notice of your bankruptcy filing cannot call you, send letters, or take your property. The first step toward debt relief in Mendocino County begins by calling a professional bankruptcy attorney. Our local bankruptcy lawyer as featured on santarosabankruptcy.us dedicates his entire practice to chapter 7 and chapter 13 bankruptcy law and can be reached at (707) 200-6688. When you call the attorney you will have the opportunity to schedule a free phone consultation. During the phone consultation you will get answers to your questions and find out if you qualify for chapter 7 or chapter 13 bankruptcy. At the conclusion of the consultation you will receive a firm quote for representation in bankruptcy. If you desire to take advantage of our low fees and hire our bankruptcy lawyer you will receive intake instructions to expedite your filing. We are a debt relief agency. We help people file for bankruptcy relief under the U.S. Bankruptcy Code. The information contained in this website is for informational purposes only and is not legal advice. An attorney-client relationship can only be established by signing a representation agreement. The $900 fee does not cover the court filing fee, credit counseling, or other costs. While most cases qualify for the $900 chapter 7 fee, some cases are complex. Consequently, the above fee is only a sample fee (not a specific or guaranteed fee) and is subject to change at any time due to the necessity of charging more for complex cases. The sample chapter 7 fee represents the typical fee for a simple no-asset chapter 7 case.